Tholdok Hellbellows, Battlemind. Referring to himself as “The Tholdok”, he is the wall, the unyielding stone, a bulwark for the weak. Every RPG struggles with how best to allow players to tell the story of the characters, both their origin or backstory and their ongoing story as they advance in power through accomplishments. The challenge is substantial, since each player has a different level of interest in defining this and because rules support often becomes a mechanical choice instead of one that enhances role-playing. Early editions of the game provided no options for backstory. You were a fighting-man, and that was it. Or, you might in AD&D roll on a table to determine a former profession. You were a bowyer/fletcher if you rolled 03-04, or a shipwright if you rolled 50-51. These were called “non-professional skills” and were supposed to indicate something else you picked up during your apprenticeship for your actual class. It was up to the DM to decide when this was useful. As has been often discussed on Legends & Lore and other D&D Next discussions, these (along with many influences from other games) led to the development of actual skill systems. 3E provided an actual skill system (first tested in Alternity). Class-based, it meant the fighter had very few skills no matter what your character concept may be. And, these were active “now” skills – we still wanted to help define our character’s past. Different editions danced around this. Kits in 2E, for example, were often a mix of background and current endeavors. 4E brought an actual Background choice, though nearly everyone chose an optimal selection… using Int to determine starting hit points, for example, or being a defender with resistances from Akanul… no matter if you weren’t in the Forgotten Realms. 4E backgrounds were primarily supposed to be skill boosts, and many did that (+2 to a skill was the more balanced benefit). And skills themselves saw the loss of ranks as in 4E and instead a mix of assigned and possible options based on your class. It is fair to say most players couldn’t tell you all the skills in which their 4E PC was trained, despite the list being far shorter than in 3E. Perhaps the most clear example of a 4E “background” choice being all about power was for clerics, where the selection of Deity was often the selection of a powerful Channel Divinity option – Tempus was all too popular, regardless of campaign setting. And that’s one of the dangers. As the game develops and mechanics are introduced to solidify and encourage role-playing options, RP can instead become an afterthought. 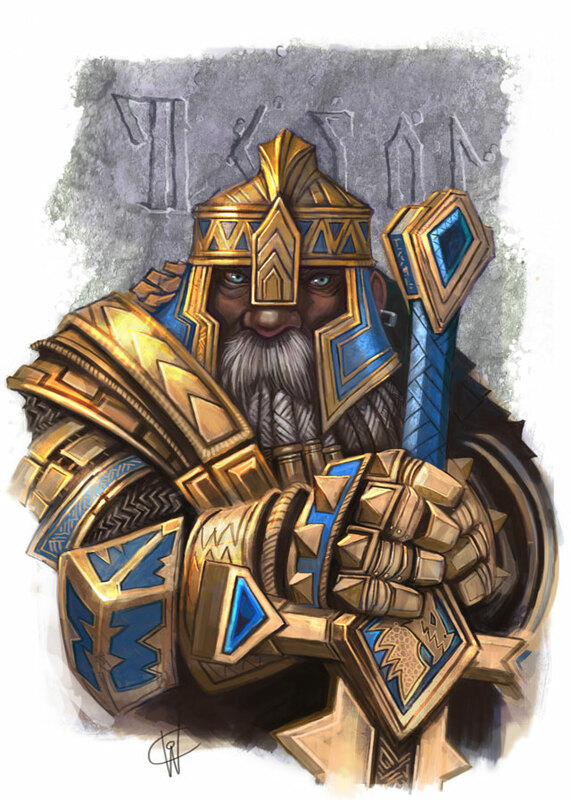 The difference between why players chose a certain deity varied greatly between OD&D/Basic/AD&D (almost purely RP), 2E (RP with some insane rule-breaking exceptions), 3E (moderate), and 4E (obvious mechanical choices). Similarly, too few players could recall the background they chose for their 4E PC… it wasn’t really a backstory. Themes were first introduced for Dark Sun, and were a phenomenal innovation. The themes captured iconic professions and motivations from Athas and allowed normal class choices (fighter, bard, etc.) to become Athasian. Rather than rebuild the bard, any class could now be what bards were in that setting (an entertainer assassin) or be an escaped slave or a gladiator (once a class in AD&D’s Dark Sun). But, as themes were extended they became a bit more about mechanics. Devoid of setting it was hard for many players to make a backstory choice over a power choice. I bet a lot of 4E players don’t know their character’s theme, because it was chosen for a benefit rather than a story. To an extent, that’s fine. But it can become bland even from an optimization perspective. At a game in January, 3 of 6 players had the same theme, despite so many options. 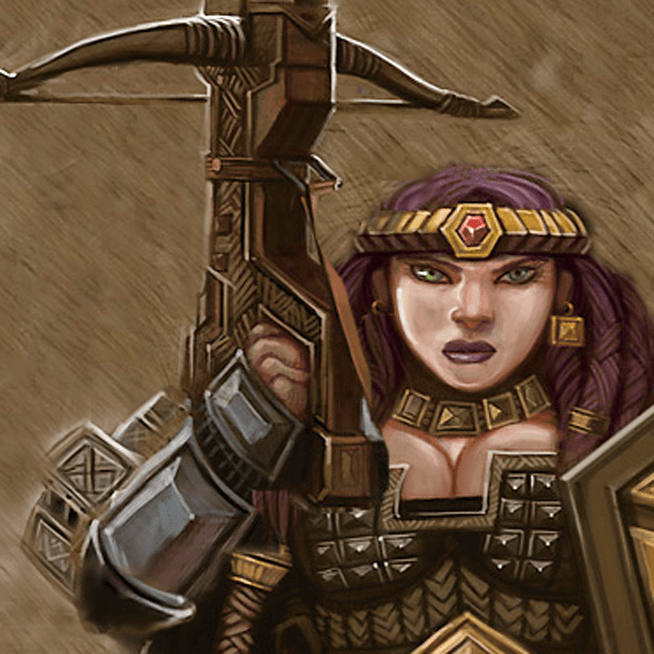 Keldra Chainbreaker, reluctant dwarven huntress who just wants to honor her dad’s dying wish that she fight evil. I can’t recall her theme… something that knocks a foe prone? The earliest editions just hinted at possibilities for how your character’s story could be changed over time when not adventuring. AD&D fighters attracted followers and built keeps. The DMG provided (obscure) rules and costs for building castles. 3E created a really cool concept called a Prestige Class. A Prestige Class was an option… you could choose to advance in a PClass instead of your normal class once you met the pre-requisites and the PClass was often a concept related to your advancement. You became an Initiate of the Seven-Fold Veil, a Mindbender, a Dwarven Defender, an Arcane Trickster, a Radiant Servant of Pelor. PClasses had some real positives, in that they really had a strong concept. A wizard-rogue that became an Arcane Trickster (one of my favorites) was very different from one that became an Arcane Archer. PClasses had an iconic feel to them, were heavy with story and RP angles, and were prominently discussed by players. One of the reasons they worked so well was that they had strong features – just like a regular class. But, they did lack balance. 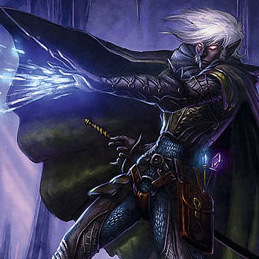 A Radiant Servant was almost always the most powerful option for a cleric. PClasses became one of the primary sources of disparity that hurt 3E play (especially at high levels). The 4E counterpart was the Paragon Path. While not bad, PPaths suffered from too little story and too much focus on powers. 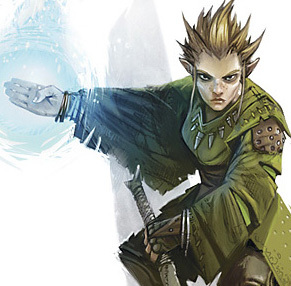 A comparison between a 3E Arcane Trickster and the 4E Paragon Path of the same name is no contest – the 3E version has far more too it. Powers didn’t really tell a story at all, being too similar, and features were often lacking as well. The same was true of Epic Destinies. Despite being designed to really tell the story of your goals for Epic Tier (become a god, etc.) far too often they were ways to boost abilities, cheat death, and add more synergies to your already unbalanced build. Phinneas Pebblebottom. She’s actually a he, and a brilliant psionicist. Yes, there was an accident with an experiment involving swapping his mind with the body of his female assistant and a badger. If you see an angry badger speaking common or a feral male gnome, do let Phin know, ok? Outside of OD&D (and even then that’s somewhat debatable) no edition has existed on its own. We can see influences from games like Shadowrun, GURPS, and other systems in Alternity, which then made their way into 3E. We can trace other developments into Star Wars SAGA and then into 4E. And those other non-TSR/WotC games are pretty influential. When it comes to backstory and character development, recent games can show alternative approaches. The Dresden Files RPG is a great example. This modern-day game uses the FATE system (based on FUDGE), so we already have influences within the influences… anyway, in Dresden Files you can create the campaign and your PCs at the same time. DM and players work together to define the setting. You do things like select the theme for the campaign, using easy-to-grasp and slick-sounding catchphrases (such as “Portland is Weird” for a Grimm-style game about fey creatures in the Northwest… true story, we started this campaign one week before hearing about the Grimm TV show). You select locations (Forest Park) and organizations (City Council, Taxi company, Labor Unions) and then assign people (a treant in Forest Park, a mage that controls City Council, werewolves in the labor unions). You assign qualities to these, basically how magical they are and how much they are trying to change the world. The end result of this system is that in three hours we knew more about the campaign setting than my Dark Sun players knew after three months of playing every week. It was incredible. Everyone could sense coming plot arcs (fey in Forest Park, mages taking over the city, werewolves out of control) and knew the major players. It was very much like setting up a great TV show. Now, the game has some issues. But I loved that aspect. I’ve talked about ways to create compelling backstory before, and I loved this one. And what it really shows is that you can have a non-mechanically heavy system for backstory. OD&D lacked mechanical reasons to create backstory… it also lacked any encouragement at all to create backstory. Dresden wasn’t giving us feats or skill bumps in return for backstory, but its system was nonetheless making our characters and our game awesome. In a D&D Next blog about backgrounds and themes, Rob Schwalb proposes that backgrounds be the primary vehicle for skills. Removing this from class means you can play a skilled fighter and can probably capture your story pretty well – especially given what was said at D&DXP about using abilities for most skills. If your fighter is a pirate, and is good at pirate stuff (ships, balance, etc.) that can open a lot of flexibility to tell a story, while being on a common mechanical ground with other PCs. And, it has the feel of the Dark Sun promise – that your choice will primarily be about the fit to your character concept and encourage that role-playing. Themes are said to provide feats. And, as you advance you gain new themes or advanced themes. I like how that can explain new tricks you pick up. After several adventures dueling in arenas, the rogue may decide to pick up the gladiator theme. Or, the character that was a sage may become a loremaster, advancing their theme. On the other hand, themes as vehicles for feats becomes tricky. Feats have not been balanced in 3E or 4E. Skill Focus is not the same as Improved Initiative. That can be ok – after all, optimizing PCs is a blast for many of us. But it is an aspect to watch if it results in every PC having the same theme. Further, the comparison is made between themes and paragon paths… how D&D Next navigates the treacherous path between the story potential of themes and the power grab of paragon paths (or prestige classes or epic destinies) could significantly shape play. Will themes become a gateway to bad balance? Another concern is that the post suggests that themes combined with backgrounds might be a way to avoid having too many classes. This echoes other mentions that seem to indicate we might see very few classes. 4E saw a huge increase in the number of classes (especially if we include hybrids and build variants). A still large number (25 or so) were true classes and many were excellent. I would miss the incredible diversity of 4E when it came to classes. Just one role, such as leader, showed many different and cool ways to heal and buff a party. It would be sad to lose the Warlord and how different it is from the Shaman. Or to not have the Battlemind or… the list goes on. If we stick to a few classes, is a theme going to be sufficient for that feel of individuality? It very will could be. Done right, you could get a rich story, fun options, and balance. Whether D&D Next can find the sweet spot between those often competing forces will be a key factor for the core of the edition. This entry was posted on October 13, 2015 by Alphastream and tagged 4E, 5E, Backstory, Character Building, Dresden Files, FATE, RPG History.